Information, updates, and other posts related to my jQuery plugin for creating sliding notifications. 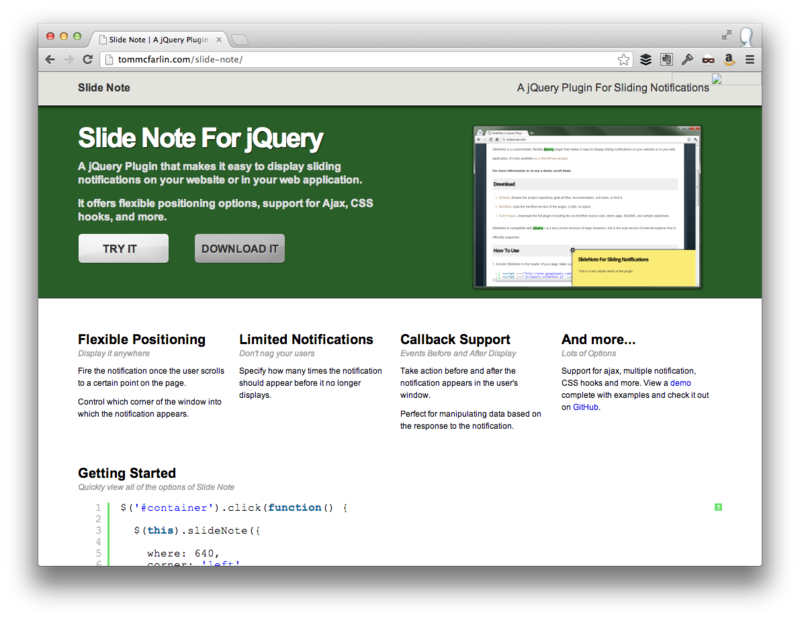 In late 2010, I released a small jQuery plugin called Slide Note that made it easy to add sliding notifications to your website or web application. 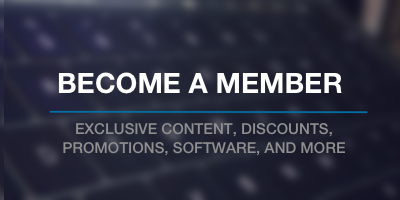 It included a variety of features such as the ability to control where it was displayed on the page, custom callbacks, and Ajax integration. Eventually, I built a small WordPress plugin around but retired it shortly after the time required to maintain and support it exceeded the amount of time I had and, honestly, the amount of joy I was getting out of the plugin. Anyway, I continued to maintain the jQuery plugin for sometime, but it’s time to retire that plugin, too. Thanks to a number of you that are currently using the plugin, I’ve received a number of emails and comments mentioning some minor issues that have been discovered. I’ve just released the latest version of the SlideNote For WordPress plugin. When I released SlideNote, I received a lot of feedback but the number one question I had was is this available for WordPress? At the time of release, it wasn’t but I’m proud to release the first version of SlideNote For WordPress. jQuery 1.4.3 was recently released and SlideNote is 100% compatible with the new version.